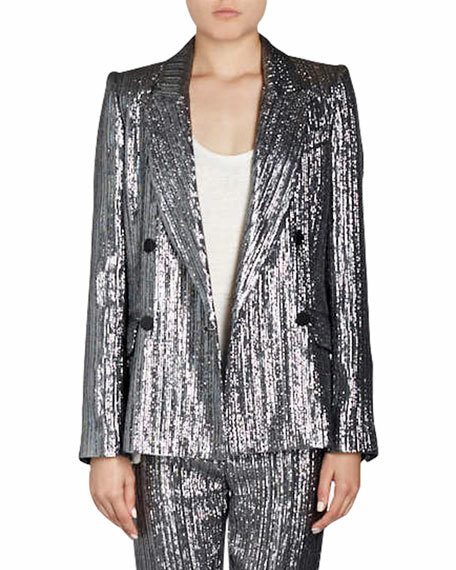 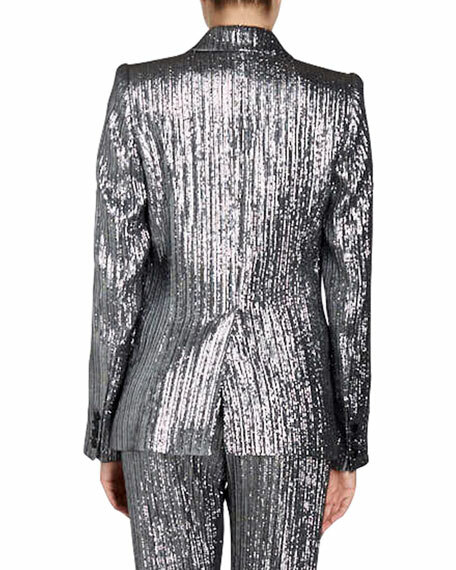 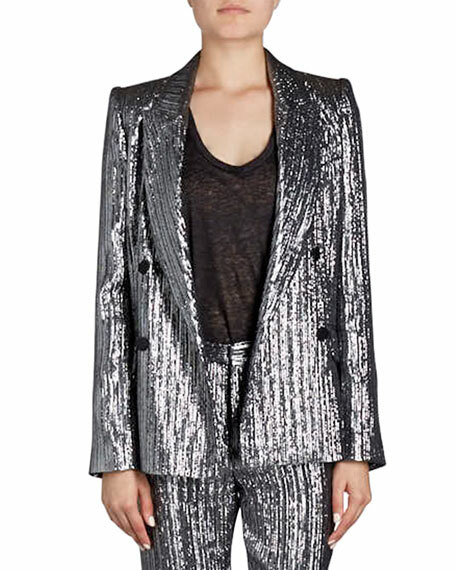 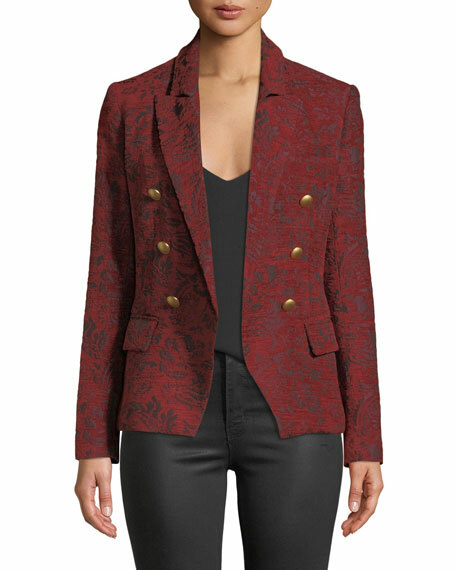 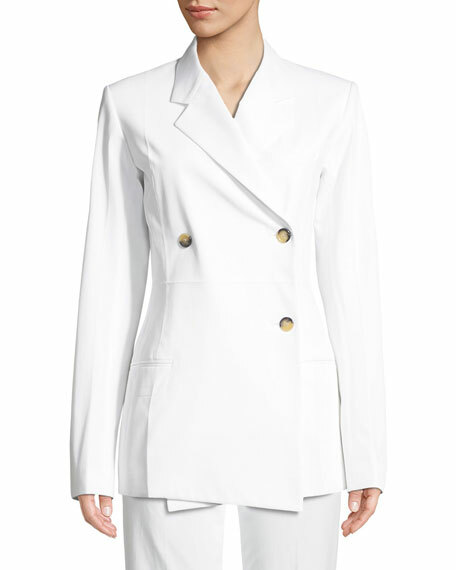 Isabel Marant "Denel" cocktail blazer in striped lamé. 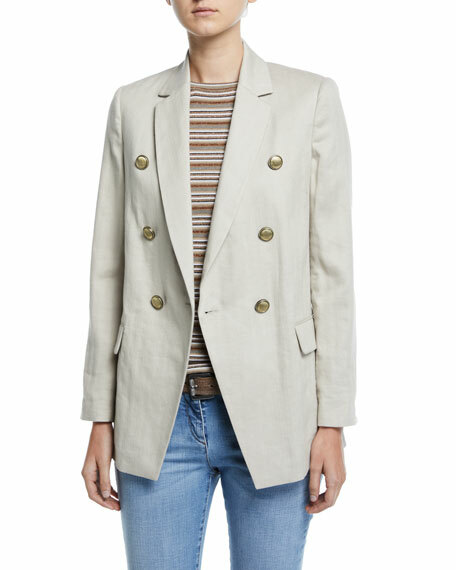 Notched lapels; double-breasted button front. 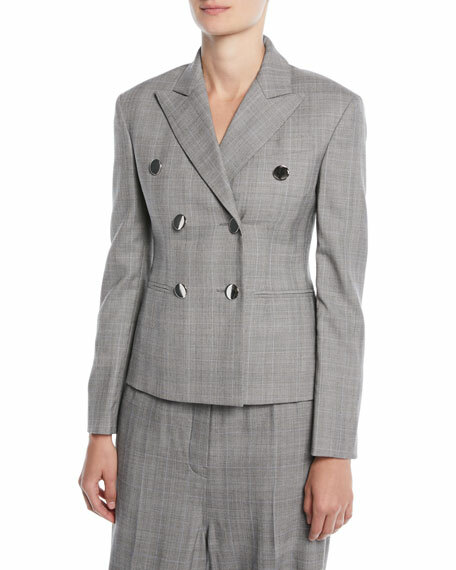 For in-store inquiries, use sku #2352384.